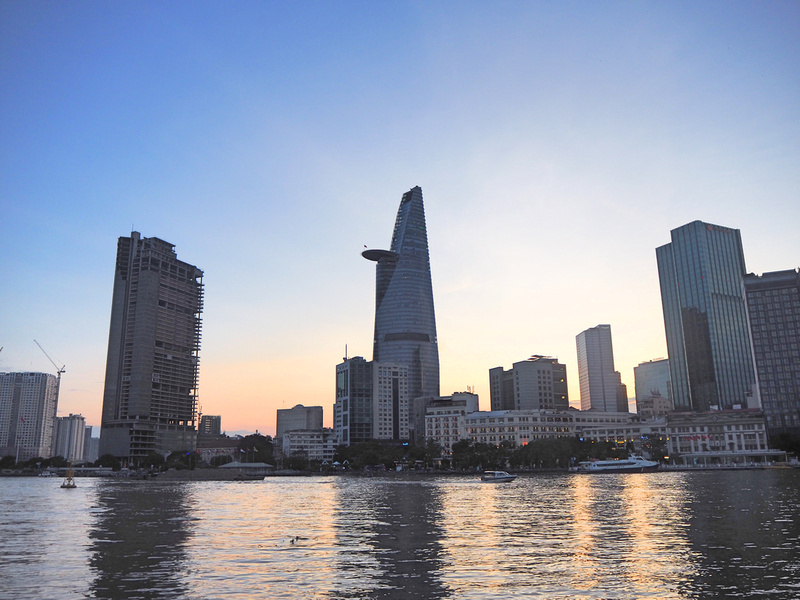 Having been based in Ho Chi Minh City for several years I’ve taken a deep interest in matters of urban development. 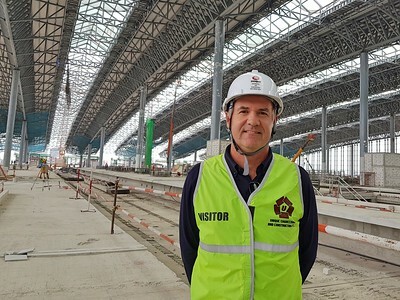 It’s a fascinating time to be here, to see a city undergo such a transformation. As part of my business I also get to travel throughout the year to other big cities of Asia. I’ve seen some great ideas that work in other cities and have thought about how they can be applied here. These ideas range from things that can be done today with no money down, to long-term projects that will take years, political resolve, and trillions of dong. For this article I’ve left out commentary on the metro construction. There is a plan for up to nine lines, and the first line is (very slowly) being built. There will be a separate blog post about the future metro of Ho Chi Minh City. This is an ongoing list, so feel free to make suggestions in the comments of ideas to improve Saigon. Here’s an idea that can be started today and will cost nothing: stop demolishing heritage buildings. 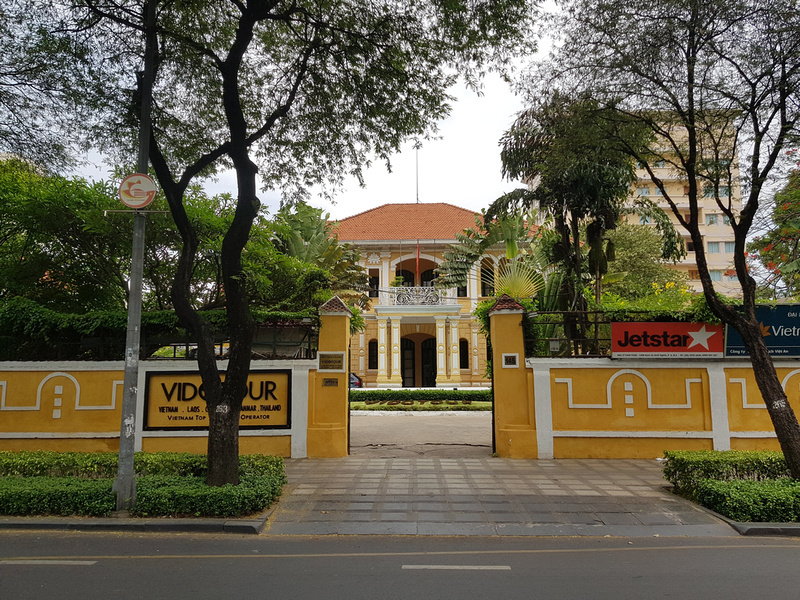 Saigon has a wealth of old buildings that once made it “the Paris of the East”, but these buildings have been making international news for all the wrong reasons. There has been an alarming loss of historic buildings with little regard for conservation. A look through the “Date with the Wrecking Ball” archives gives you an idea of what has been lost or is threatened with demolition. Other cities in Asia have already been down this path and now see the value in conservation. Singapore lost a lot of its heritage architecture before they realised it was an asset to the city. Kuala Lumpur is now actively restoring its old town after decades of neglect. Cities that have been conserved, such as the UNESCO World Heritage-listed Hoi An and Penang, are proof that beautiful heritage buildings are a tourism drawcard. That’s not to say that there shouldn’t be new buildings. There are enough old buildings that can be replaced without having to destroy what can’t be replaced. Maybe there is hope for the future with the city recently allocation a budget for the preservation of historic buildings. 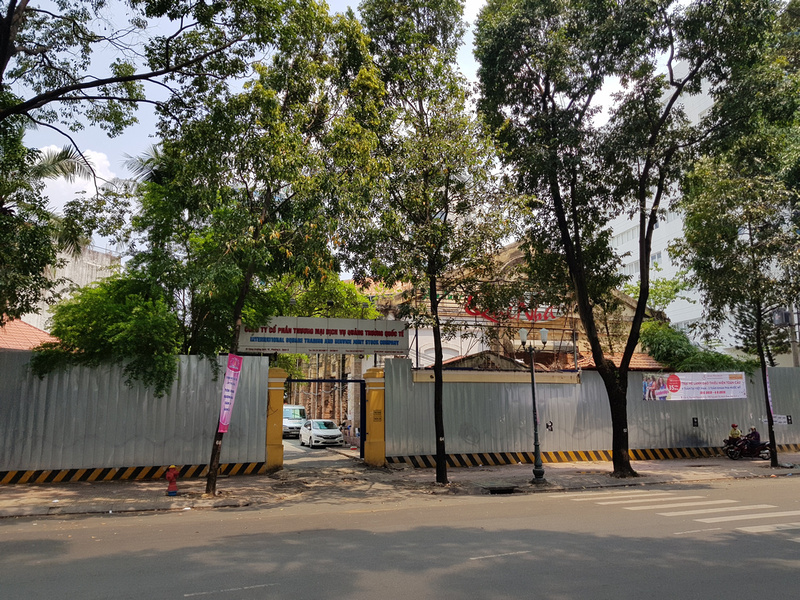 In addition to saving buildings from demolition, the historic villas of Saigon should be saved from being modified or hidden by building extensions. This would be a long-term transition, starting with no more buildings being allowed to be modified. Over time as buildings are sold or renovated they would need to be reverted back to their original plan. There are lots of Villas in District 1 and 3 that are hidden behind shopfronts or have had ugly modifications. The problem with these villas is that they are not suitable as retail spaces, so they have these extensions added to them. There is a demand for villa living, or at least it seems that way when developers keep building villas at new city projects. There just needs to be a movement to make living in renovated historic villas more desirable. Some countries offer tax breaks and incentives to restore historic buildings, so that would be a good start. Another option is for turning the villas into boutique offices. Here is good example of a villa that works well as an office space, where the property allows space for a garden and off-street parking. 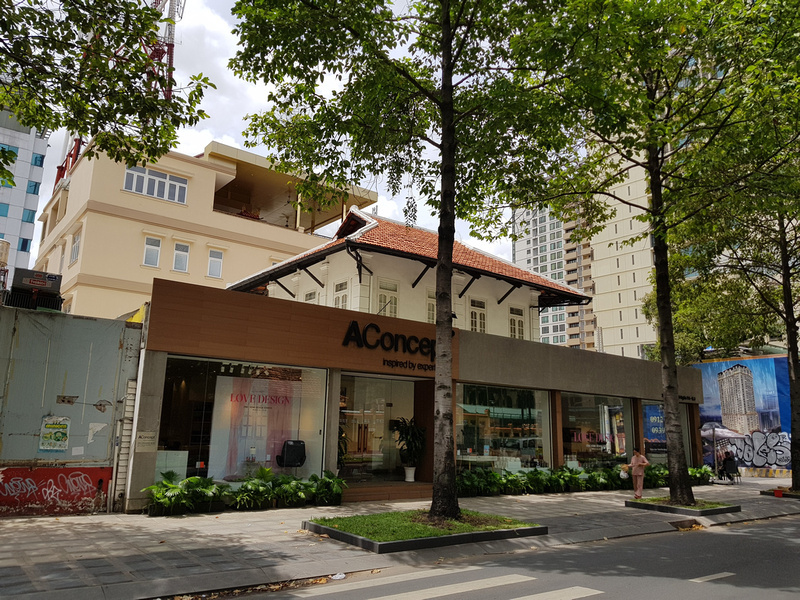 With the city declaring that new high-rise projects will be paused in the downtown HCMC, it would be a opportune time to convert these villas into office space. 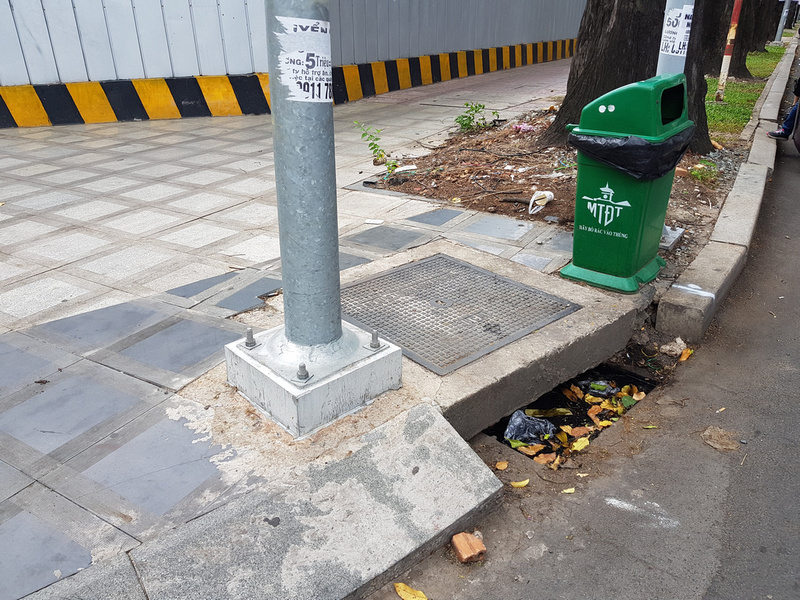 There has been a high-profile campaign to remove clutter from the footpaths of Saigon, led by the admirable Captain Sidewalk. 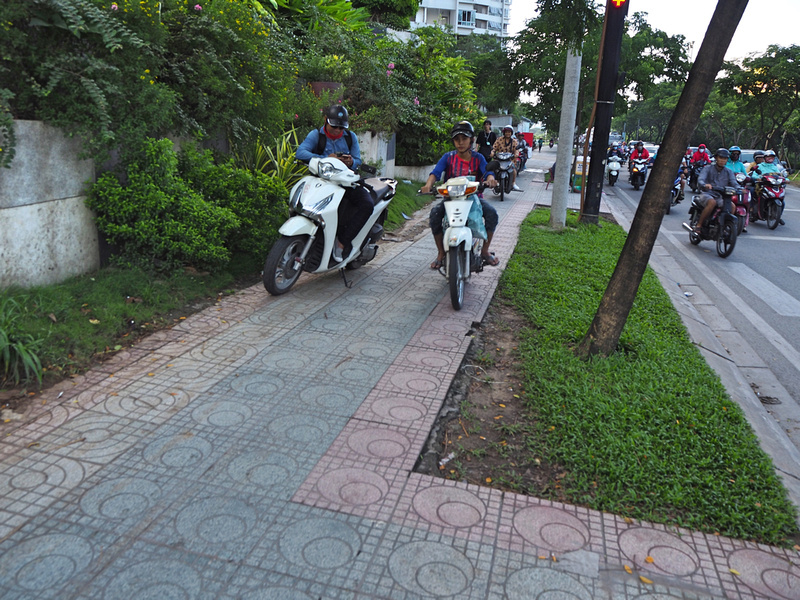 The biggest problem of the sidewalks of Saigon are motorcyclists using footpaths as a road. This makes the city look dysfunctional, it’s dangerous/annoying for pedestrians, and it damages the footpaths. It’s a practice that needs to be eradicated. 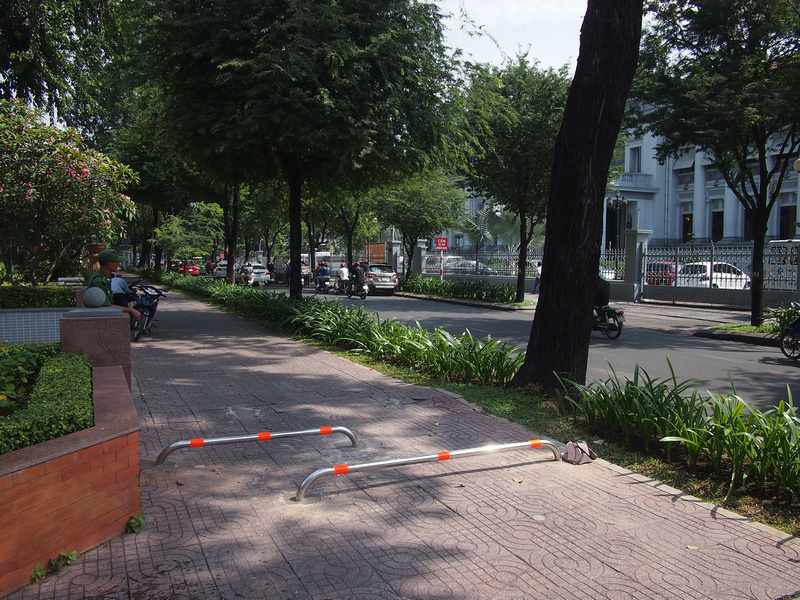 There were some bike barriers that were placed around District 1 in an effort to stop riding on footpaths. They turned out to be a hindrance for pedestrians and parts of them were removed. Now bikes just go around them. The barriers outside Saigon Centre appear to be more effective, and I’ve never seen a bike ride along here. These would be cheap to set up, and they are easy enough to walk around. 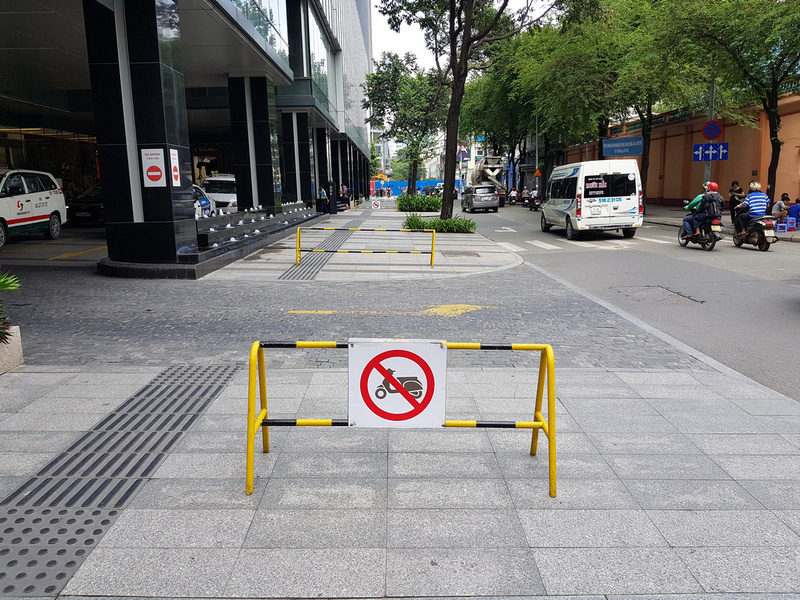 Put 100 of these at the worst footpaths in the city, and go one further by putting a fine (say 500,000 VND for starters) for anyone caught using a footpath as a road. I would be happy to see traffic cops setting up footpath blocks and handing out fines in this situation, or set up a traffic camera. Eventually the barriers can be removed once it’s in the public psyche that riding on the footpath is verboten. There is still going to be bikes parked on the footpath, and that’s a problem that is going to take longer to fix. For bike parking you can ride onto the the footpath to park, and you have to exit from the closest spot. Another long-term consideration is how sidewalks are designed. Most of the gutters are angled so bikes can easily mount the footpath. Any new footpaths that have no need for access for bike parking should have hard gutters like this. 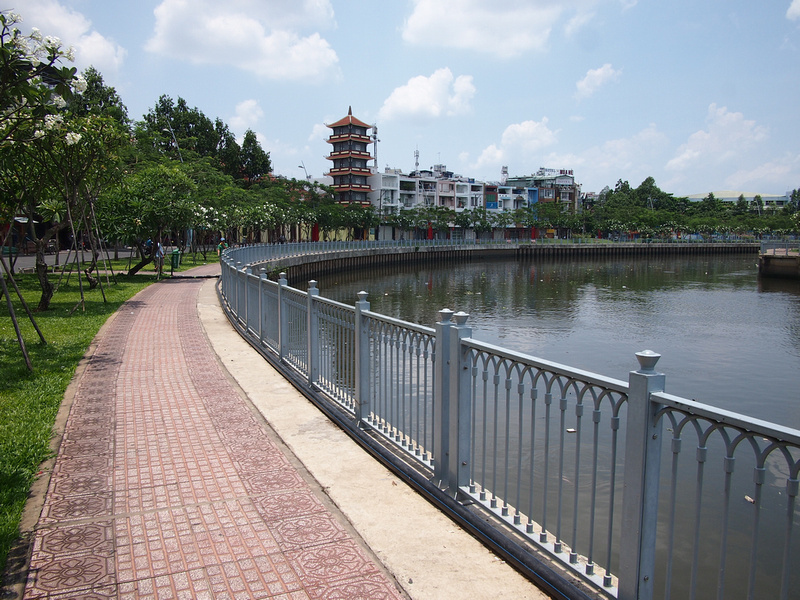 Compare that with this angled gutter at the Thao Dien Park. There is no reason a bike needs access to any section of this, so there should be a hard gutter. With such easy access, bikes and cars(!) have taken it upon themselves to use the footpath as a road. In case you were wondering, I was on the back of a motorbike taxi while internally dying of shame that my moto rider had joined in on the footpath riding (I now tell them not to). While we’re on the subject of bikes, Saigon is the unofficial scooter capital of the world. The millions (literally millions) of motorbikes are major contributor to the terrible air quality of the city. It’s going to be decades before the city has a metro system that would be a viable replacement for most people who use bikes. Until that time comes a radical approach needs to be thought about regarding converting riders to electric bikes. There has been talk of a congestion charge in the inner city, and a ban on bikes. A total ban would be impossible to implement, so a better option would be free access for electric bikes and a congestion charge on non-electric vehicles. Another option is for tax breaks for electric vehicle manufacturers to build here, and no tax on any electric vehicle (though that would be part of ASEAN tax law). Positive news on this front is that Vinfast will build electric cars and buses in addition to electric scooters. Tax breaks to encourage manufacturing and incentives for riders to switch to electric would work out cheaper than the long-term cost of the health of the population and desirability as a city for businesses to move here. 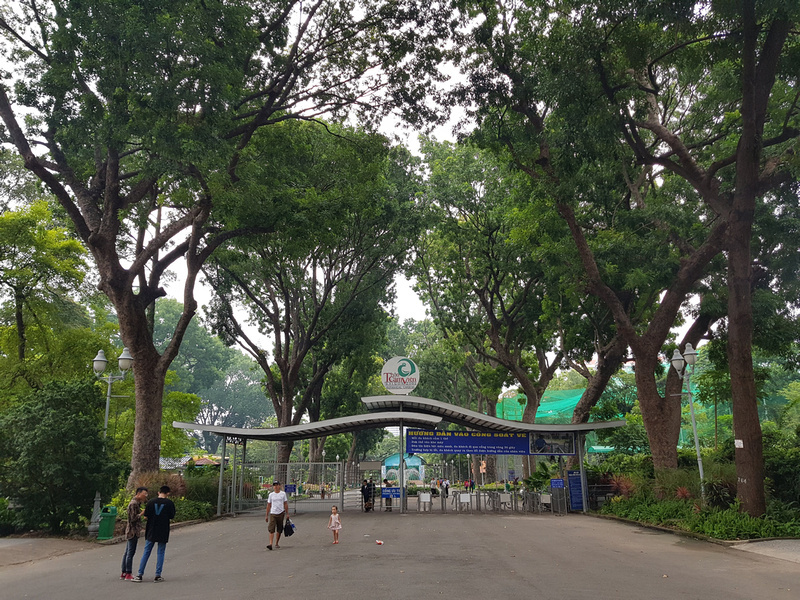 The Saigon Zoo and Botanical Gardens is part zoo, part botanical garden, and part fun park. Rather than being good at one thing, it does all three things in an average manner. The enclosures are small and it looks like a relic from the colonial era. The old trees from the original botanical gardens are magnificent, and it would be even better if the whole zoo was turned into gardens. The zoo should be relocated to a open-area park further out of the city, perhaps near the end of one of the future metro lines. Saigon has one of the best street food scenes in the world, yet with the campaign on street clutter it’s only a matter of time before food vendors are lost from the streets. Rather than losing this heritage forever, these small vendors should be offered a place where they can trade with rents at a subsidised rate. A good example of this is in Singapore, where subsidised hawker centres mean you can find solo proprietors offering cheap local food. There has been an attempt at this with designated food streets in District 1. So far the food streets I’ve visited have only had a limited variety of meals, and don’t have the variety of a Singapore hawker centre (or the atmosphere that makes them world-famous). They also need more seats. 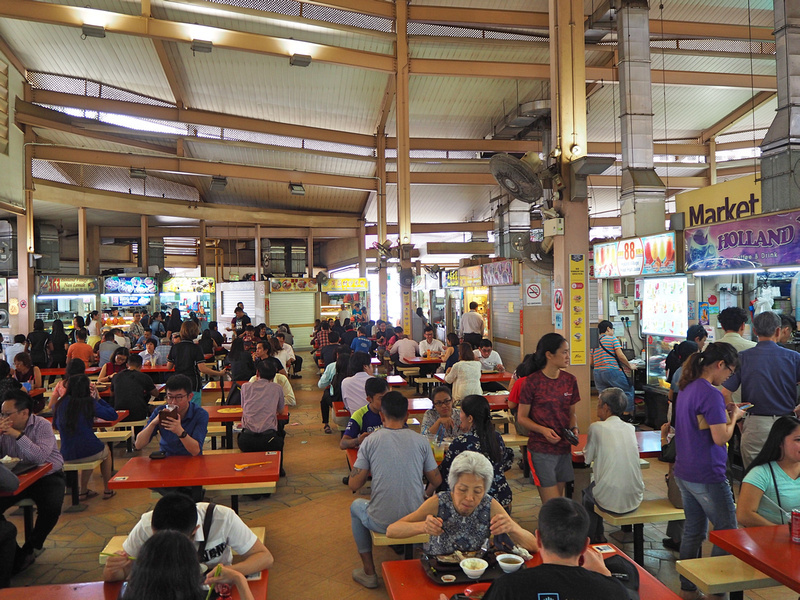 The typical hawker centre layout in Singapore has a big hall with the vendors on the side, and lots of tables and chairs in the middle. I good idea would be to put a food court in a historic building, like the Telok Ayer Market in Singapore. The dream would have been to have a massive food court in one of the Ba Son warehouses. Sadly those warehouses have been demolished. There is another warehouse at the Turtle Lake that’s currently boarded up for redevelopment (most likely to be demolished). This would also make an ideal food court. 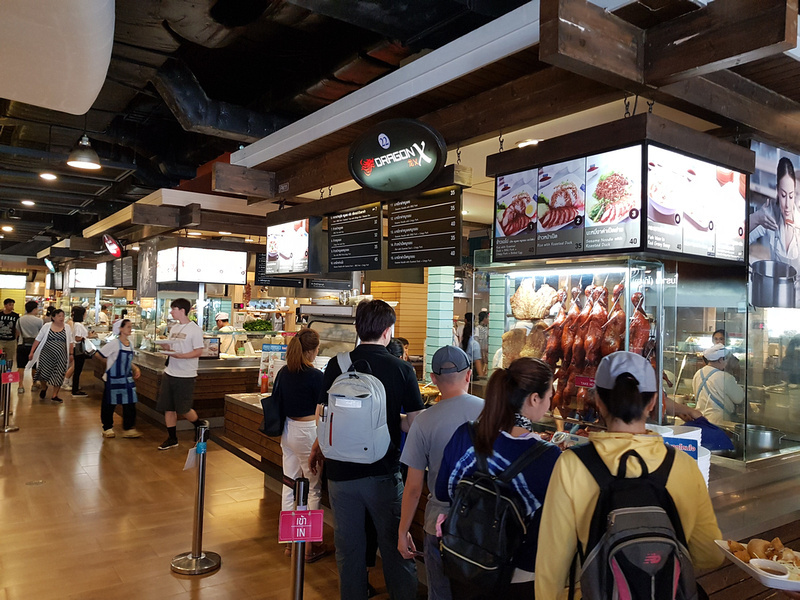 Another good example of food courts done right are in the malls of Bangkok. When you go to Thailand you have to check your preconceptions of mall food at the door. Even in the most modern malls you will find large food courts serving Thai food operated by a no-brand vendor specialising in one thing. The prices are also kept reasonable, being not much more than a street vendors price. Visit a mall at lunch time and it is filled with workers. 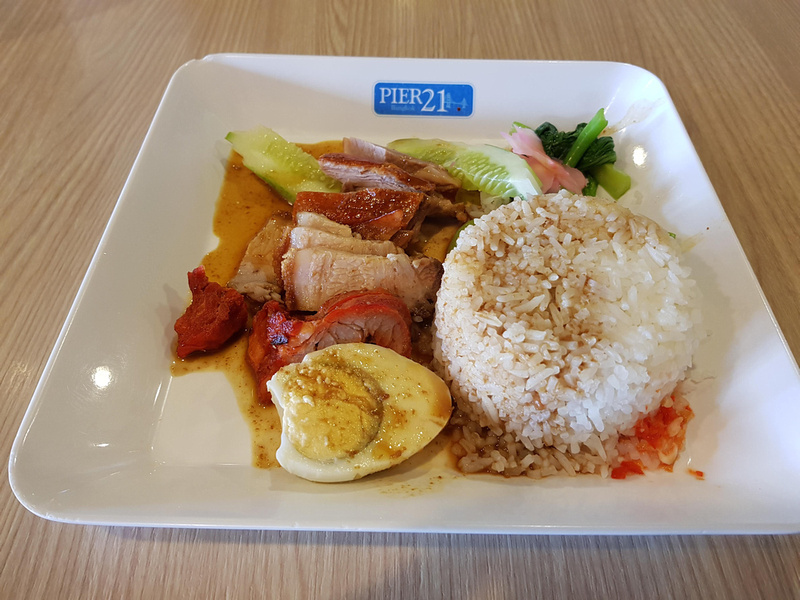 I always end up at the same duck and rice shop at Terminal 21, where this dish costs 45 THB ($1.36 USD). 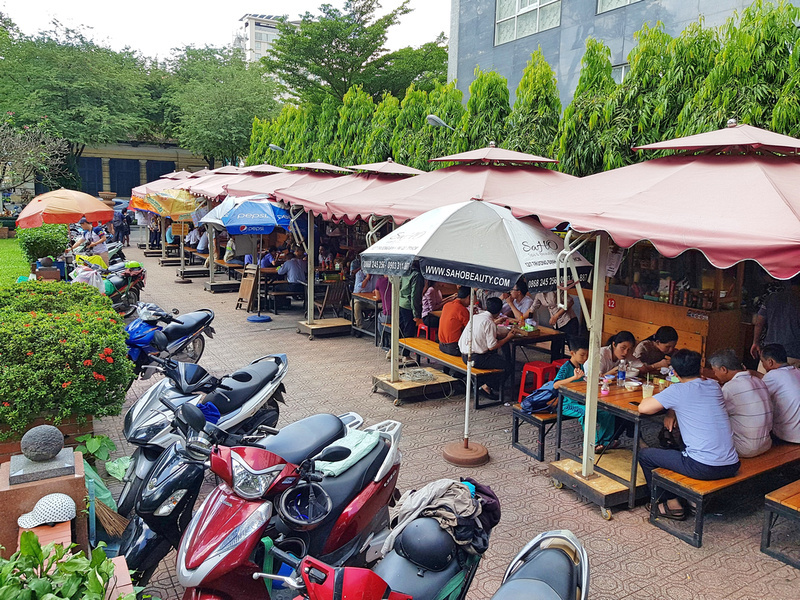 So far Saigon’s attempts at creating food courts have ended up looking like a theme park food court, or they have been placed in an inappropriate building (ie the skinny buildings that are common in Vietnam). So if anyone at Terminal 21 is reading this (or if you know someone who knows someone), please come and open a food court here. 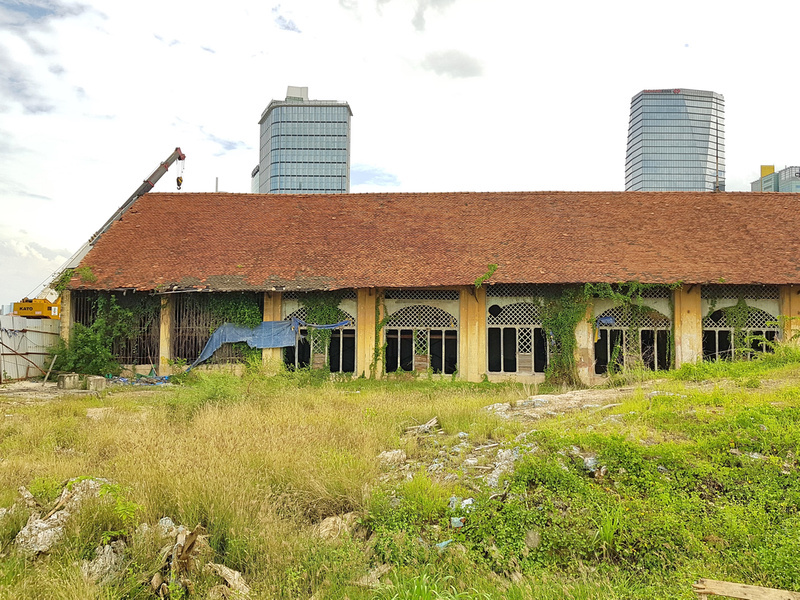 Thanh Da in Binh Thanh District has had a proposed mega development on hold for decades, while residents wait patiently for the fate of their property. There is currently access with one road via the skinny neck of the island. The illustration shows three new bridges being built to provide more access to the island. They would require a long ramp for the bridge to be high enough to allow container ships to pass underneath. The image shows a new bridge connecting Thanh Da with Thao Dien, which already has enough traffic problems without adding to it. Ideas for better cities is often about seeing what works for other cities and copying that. In this case Bangkok has the answer to the Thanh Da dilemma. 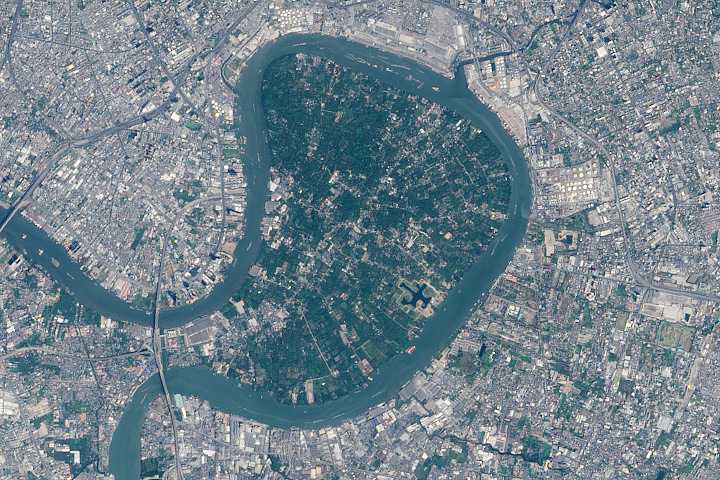 Bang Kachao in Bangkok is an artificial island formed by a bend in the Chao Phraya River and a canal that connects where the river loops back. It’s known as the “Green Lung of Bangkok”. After being threatened with development it’s now been saved as a nature reserve. Thanh Da is also an island of land formed by a bend in the river, with a canal that connects where the river loops back. The similarities are uncanny. 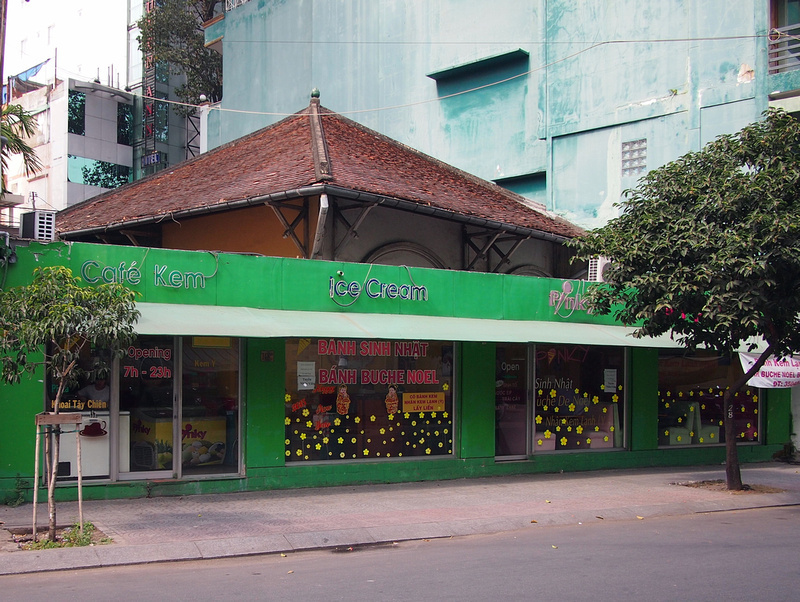 There are already enough developments that have been abandoned, so this would have better value if Thanh Da became “The Green Lung of Saigon” while the other developments are completed. Long term I would propose to buy out the remaining properties on the bulbous section of the peninsula and make it all parkland. Or if you want to be even more ambitious turn it into a new botanical garden, perhaps the “Botanical Gardens of ASEAN”. Have a tropical garden featuring the flora of mainland Southeast Asia, with some enclosed garden spaces like at Gardens by the Bay in Singapore. You would have boatloads of tourists coming from District 1 to visit this. The city has a big flooding problem in the rainy season, which is getting worse with more concrete surface area being added every year. While the city is going to face major problems in the future with rising sea levels and depleted ground water causing the city to sink, some flooding can be avoided simply by cleaning out drains. 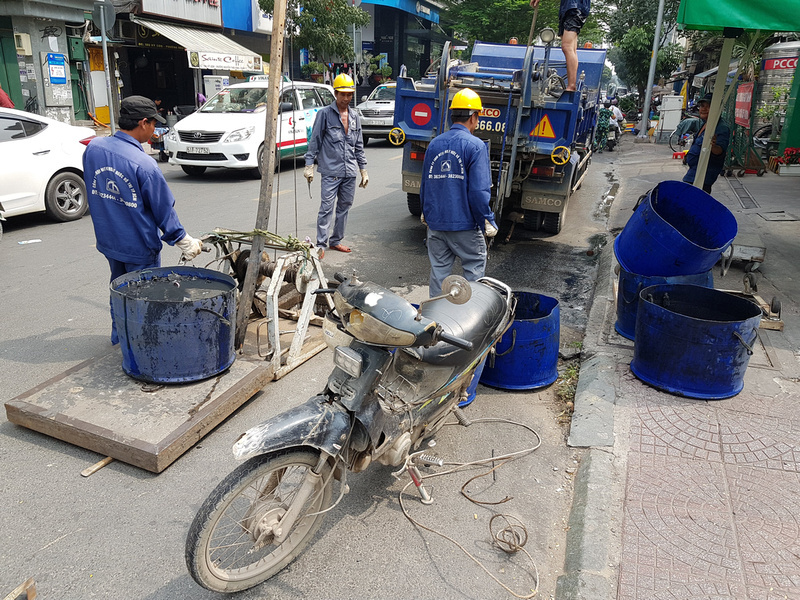 Some of the unsung heroes of Ho Chi Minh City are the workers who get in the drains and clean them out them with buckets. Here is one crew I saw cleaning a drain out with buckets with someone in the drain. This is slow and dirty work. A quicker and cleaner solution would be to get a dedicated drain cleaning units. Something like this would be ideal for the little lanes of Saigon. 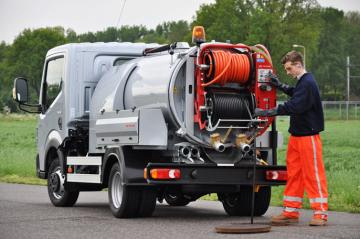 Even if you had just one of these trucks in the city, if you unblocked 5 drains a day (2 hours per drain), you could unblock the top 100 worst worst drains in one month. The greatest natural asset of the city is also the least utilised. The Saigon River is a mighty body of water, yet there are no long stretches of walkways, and access is blocked in many places. 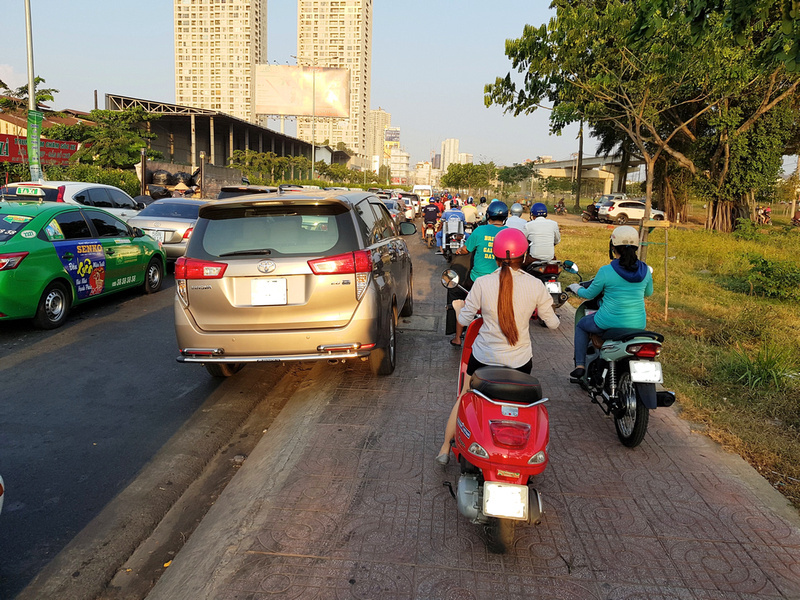 An uninterrupted walking and cycling path should be built along the length of the river of District 1, District 4, and Binh Thanh, and opposite in District 2. With the Saigon Bridge and the proposed D4-D2 bridge as crossing points, that would be an unbroken distance of over 10 kilometres. If you want an even more ambitious project, extend the path so it loops around the newly created nature reserve of the Thanh Da peninsula. That would be a waterfront path that rivals the waterfront path along the Huangpu River in Shanghai. The walkway should be wide enough for walkers and cyclists, and any motorbikes caught on there (even parked) should have their bike impounded. And no section of the river should be blocked by private land. 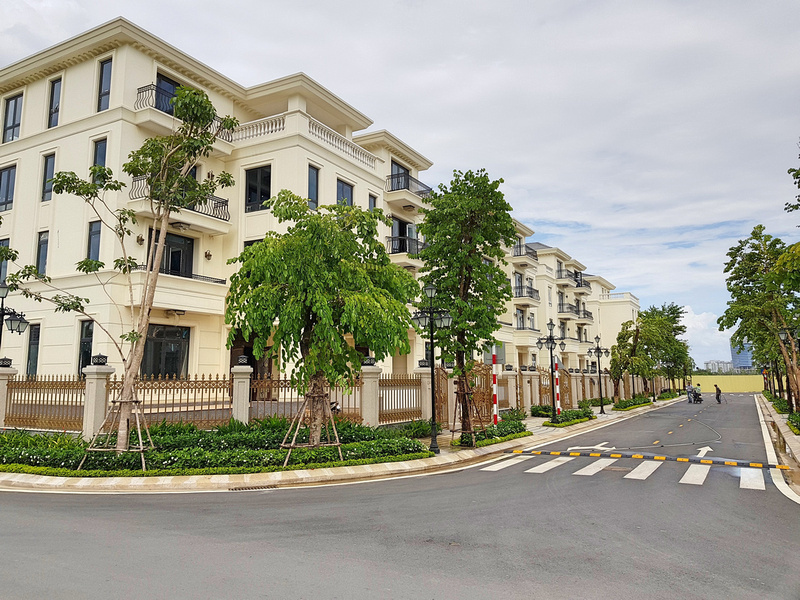 For example there should be access between Saigon Pearl and Vinhomes Central Park in Binh Thanh (and we wait to see what public access there will be in the Golden River development). 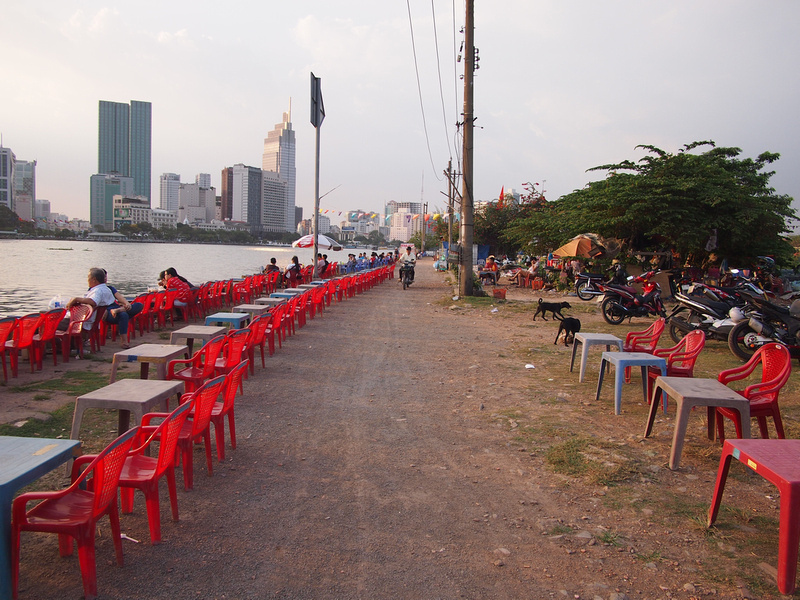 And being Saigon there should be cafes everywhere (as long as they don’t block the path). To be able to walk/run/cycle such a distance would make a great improvement to living in the city, and the river path would become a tourist attraction in itself. This is a long-term project that would have to be done in stages, and sections of walkway would need to be above water to go around existing buildings and infrastructure. 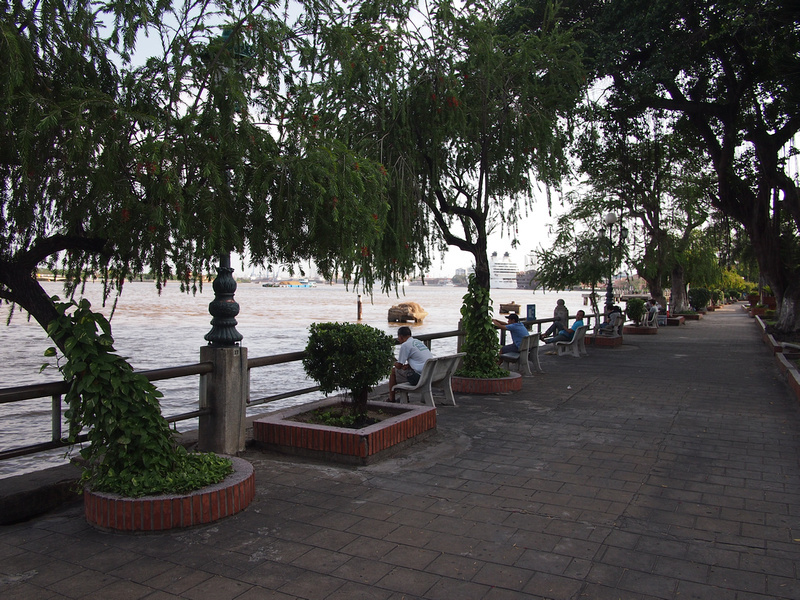 Bangkok has been trying to build a similar walkway along the Chao Praya river. The problem for Bangkok is that both sides of the river are already built up, so maybe this is an idea that Saigon can seize. 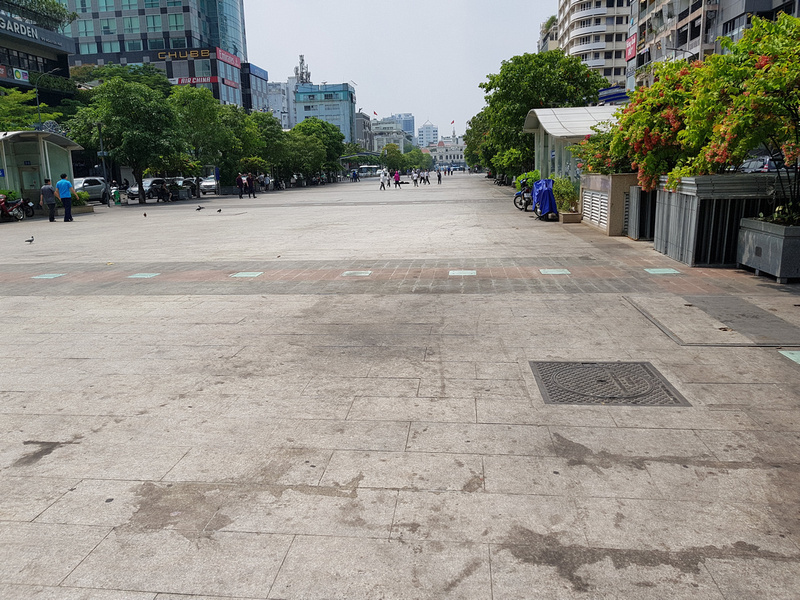 Here’s an easy one that can be started today – clean the paving of Nguyen Hue walking street. Nguyen Hue is the unofficial town square, so if there’s one street that should always look good it’s Nguyen Hue. It’s already stained and dirty, so there should be a crew with high-powered water cleaners that are regularly cleaning this. There are several canals around the city that are waiting to be redeveloped. The government is in the process of relocating thousands of residents so they can then start rehabilitating the waterways that are filled with toxic black sludge. There is already a successful precedent for this with the Nhieu Loc-Thi Nghe Canal. 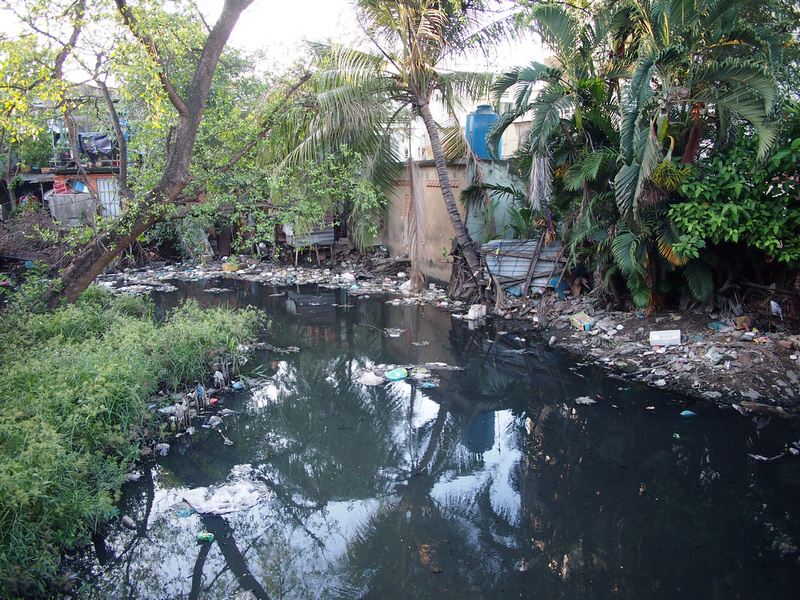 This canal was a polluted waterway with ramshackle houses squatting along the edge. The canal has since been cleaned up, and a pleasant walkway has been built alongside it. For this post I’ve left out canal rehabilitation and redevelopment as that is already being planned. I will write a separate post about that in the future. The canal projects has been in planning for years, but the combination of the cost and the logistics of moving thousands of residents has slowed the process. One of the proposals to get the project moving is to offer the surrounding land to a developer in payment for cleaning the canals. My idea is to take a section of rehabilitated canal and turn it into a commercial precinct modelled on Dotonburi in Osaka. 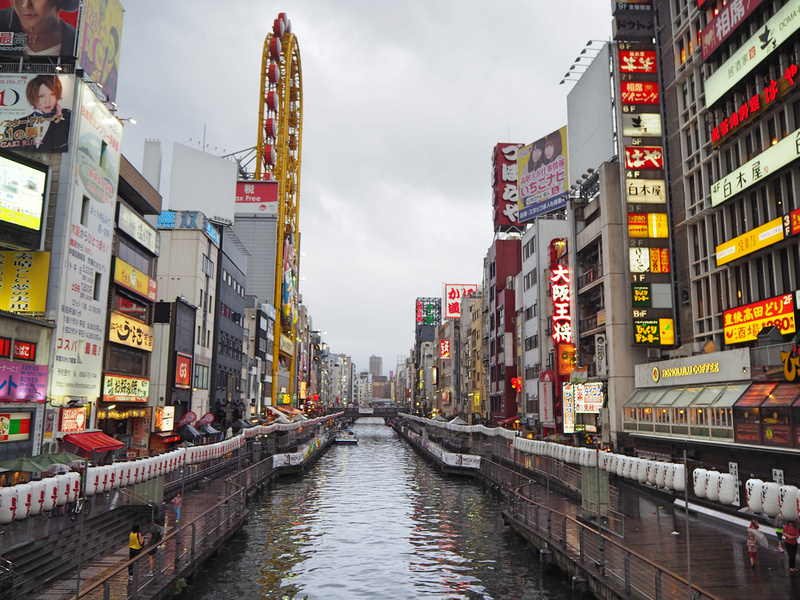 The Dotonbori canal is an unremarkable body of water, yet it’s one of the most popular areas of Osaka. The canal is lined with shops, restaurants, and nightclubs, and it has become one of the symbols of the city. An ideal candidate area would be the Van Thanh canal, north of Dien Bien Phu. This area is already built up, and it’s not far from the future Saigon Bridge metro station. If the land becomes as sought after as what has become in Dotonbori, there would be more incentive for developers to back the canal rehabilitation. It would also make another point of interest beyond District 1. Let me know your thoughts on ideas to improve Saigon. One thing that comes to my mind are missing overpasses on Dien Bien Phu. While there’s one next to Pearl Plaza, there’s no single one after it! 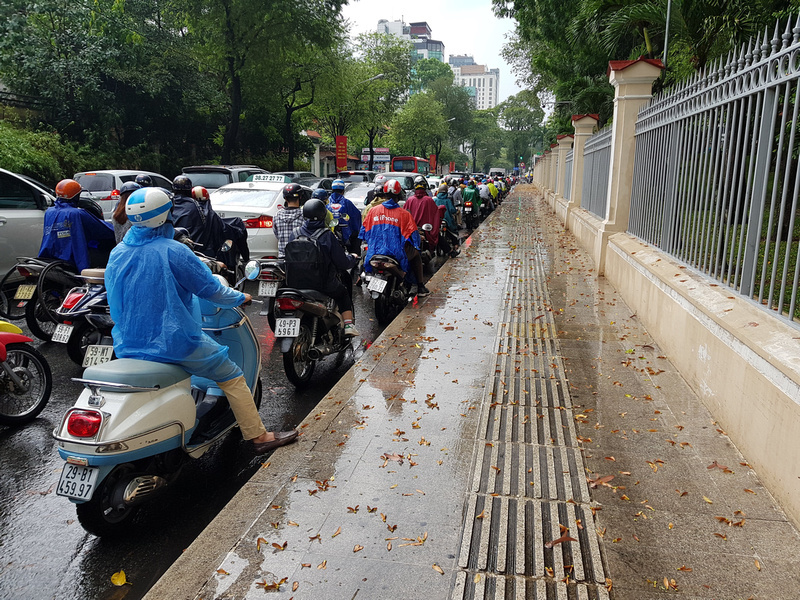 The only 2 other places where you could somewhat safely cross the DBP are on the DBP – Xo Viet Nghe Tinh junction, and the zebra crossing after the roundabout next to McDonald’s. The main issue I see here are university students who are constantly crossing the street, which is extremely risky for their and overall traffic safety. Thanks! Yes that’s a great point, and I had that in my draft of ideas. It’s one of the worst points for pedestrians, so glad you picked up that so quickly. I will add that point. Fantastic article on a fascinating city James. Looking forward to many more. Thanks Mark, hopefully more soon! Many fine suggestions James. 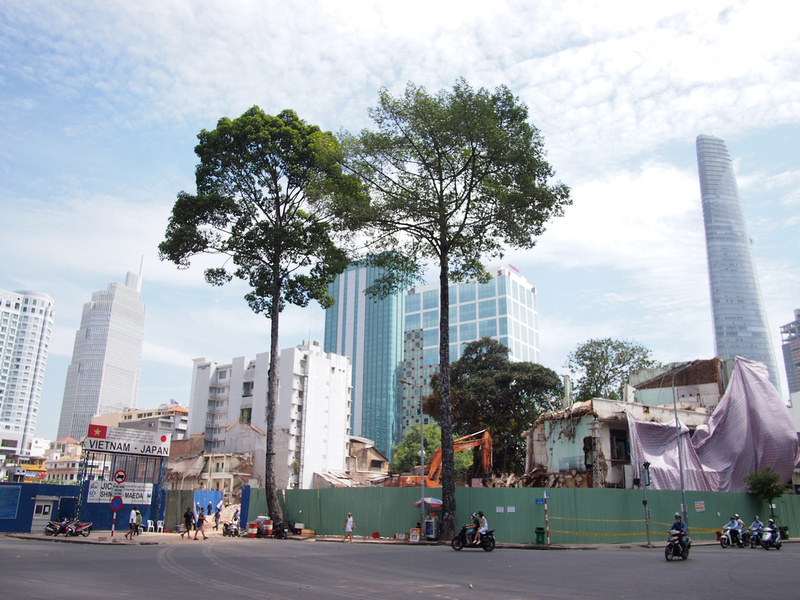 It appals me to read of the demolition of many of Saigon’s exquisite colonial buildings. Great article. I would love to see many more rubbish and recycling bins installed,, and strict enforcement around littering/waste disposal, including around what gets discharged into waterways. Installation of many more public toilets would be good too, and I’m glad to see some progress has been made in that area. 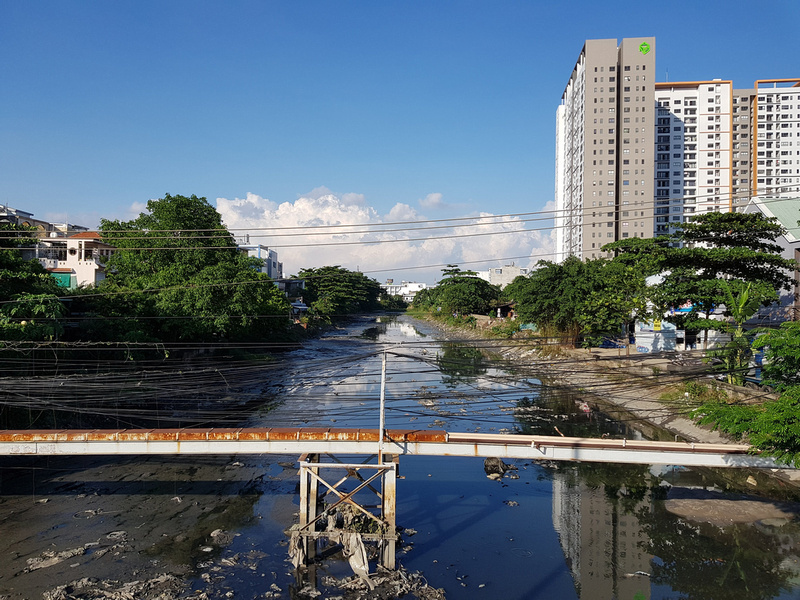 And wouldn’t it be great to see some stalled projects finally restarted – the Ben Nghe canal project by Cau Mong between D1 and 4 for example. And don’t get me started on Saigon 1 – I hear a perfectly good proposal to take it over and turn it into a hotel with apartments and part commercial was recently rejected.